President Trump put the Left on notice when he declassified some items related to the fake news Russian collusion probe. The announcement sent swamp rats in DC scrambling, and the clandestine meetings went into hyper drive. Yes, the people who claim to want transparency decided against transparency. As with all potential disclosures around this collusion farce, the Democrats claim that transparency comes with national security ramifications. It’s complete nonsense, as we learned with one release that the FBI indeed has been working against Donald Trump and for the Democrats. There were no national security implications, unless you count the plot against the president. And we find ourselves in familiar waters with the next proposed release. President Trump wants America to connect dots to what led to the bogus investigation to begin with. Thus, this won’t end well for Democrats. 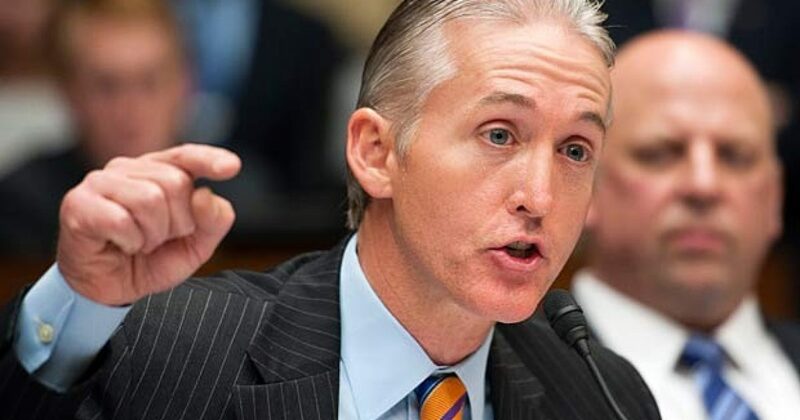 Gowdy, a member of the House Intelligence Committee and chairman of the oversight panel, emphasized that while there may not be any damning details in these documents as some of his Republican colleagues have assured, he did say that there will be information that will be embarrassing for some individuals in the FBI and DOJ. And he singled out ex-CIA Director John Brennan as the one who faces the brunt of the embarrassment. I don’t know about you, but now I might kick in a few bucks to know what Gowdy and others know about Brennan. What we know for sure is there will be little doubt about why Brennan lost his security clearance. Speaking of which, where is that lawsuit Brennan promised? I recall President Trump BEGGING Brennan to sue, as President Trump said, [pp] “My legal team can’t wait to get all the information on Brennan that we would get during disclosure, in order to fight the lawsuit.”. Brennan got the hint, and you can know with 100 percent certainty that Brennan won’t sue. Stay tuned, as we will provide updates on this as we get them.